Much is being made of today’s centenary birthday of Blessed Teresa of Calcutta, known in life as Mother Teresa, and rightly so. As the first, and so far only, pastoral associate of the first parish dedicated to her after her beatification, I had already developed something of a devotion to this latest holy Teresa. Living within a stone’s throw of the Missionaries of Charity Roman HQ helps too! The Lay Centre is of course in a section of the Passionist Retreat of John and Paul, their international general house, where today is already tomorrow and one of their own is honored on the calendar. Blessed Dominic Barberi is likely best known for his missionary work on the British Isles and for being the priest who received Bl. John Henry Newman into full communion with the Catholic Church. From The Letters and Diary of John Henry Newman, volume XI, p. 274. The world just keeps getting smaller! As part of our week of events celebrating the official Inauguration of the new site of the Lay Centre at Foyer Unitas, a number of our board members and residents gathered for a celebration of the Eucharist in the rooms of St. Paul of the Cross, founder of the Passionists, presided by Father Donald Senior, CP. Fr. Senior celebrates 50 years as a Passionist this year, is a renowned New Testament scholar and president of Catholic Theological Union in Chicago, the largest graduate school of ministry formation in the United States. He also serves on the Pontifical Biblical Commission and concelebrated mass with the Holy Father on Thursday morning (the unscripted homily for which made headlines). As a member of the Lay Centre Board for several years, Fr. Senior was a key figure in bringing the Passionists and the Lay Centre together, making this new home a possibility,something for which the entire student community is deeply grateful! Paul Francesco Danei was born into a wealthy merchant family in 1694 near Genoa, Italy. With over 2000 extant letters from his lifetime, we know a lot about his struggles and spirituality, and his intentions for what would eventually become the Congregation of the Passion of Jesus Christ. When he came to Rome originally, it was not to found a religious order but something more like one of today’s lay movements – he did not seek ordination, and did not want a monastic or mendicant order. He and his brother sought jobs in one of the hospitals in Trastevere, still in operation today, as what we would know of as orderlies. 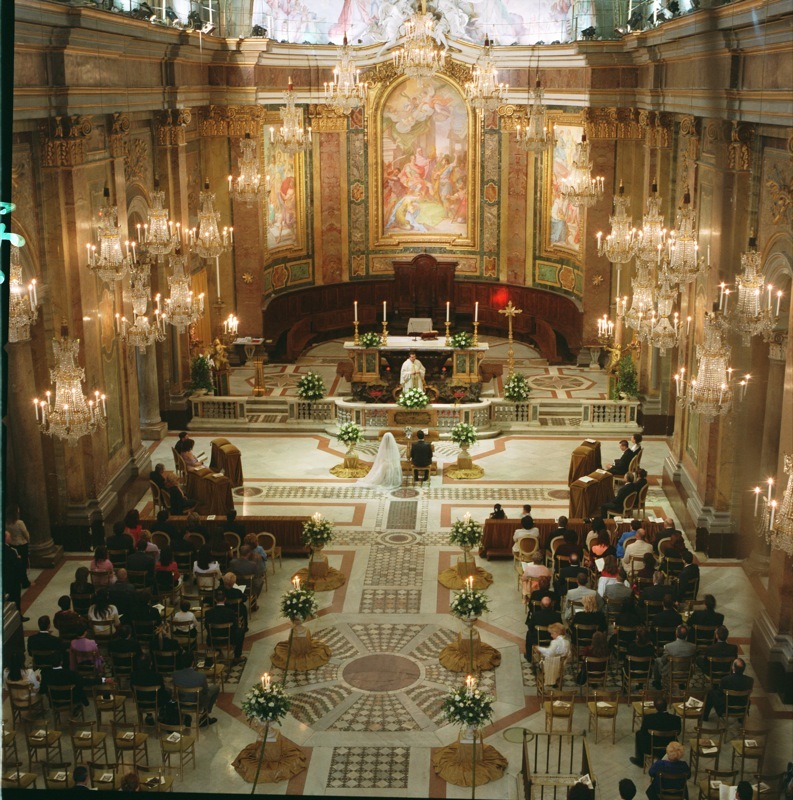 The 18th century Roman curia was not yet ready for something this ‘outside the box’ however, and his request for permission for a society of non-ordained, non-religious ministers was rejected, and he was moved into a more familiar model, eventually being ordained at St. Peter’s in 1727 by Pope Benedict XIII. His vision remained for a mission to those who were in closest solidarity to Christ’s passion – the poor, marginalized, the migrant workers – and he continued to resist classical definitions of religious life. Instead of a monastery, the houses are “Retreats”, implying a place of solitary refuge to replenish the soul and then go back into apostolic ministry, rather than to remain cloistered and focused only on the community. Their ministry was preaching, giving retreats and parish missions, but not commonly in education or staffing parishes directly. St. Paul also did not seek leadership in his own order, but was elected superior for life. Possibly unrelated, he recounts nearly 50 years of spiritual aridity, a time without emotional, visceral faith to reflect his intellectual assent. That blessing only came near the end of his life, which he spent in the rooms in which we celebrated the Eucharist today, wandering the garden of the Retreat we now call home. This Retreat had belonged to another religious order, a Congregation of Jesus, which had been around for centuries but diminished by the time of Paul. Probably because of his reputation for compassion, St. Paul became confessor to many people, including a couple of popes. 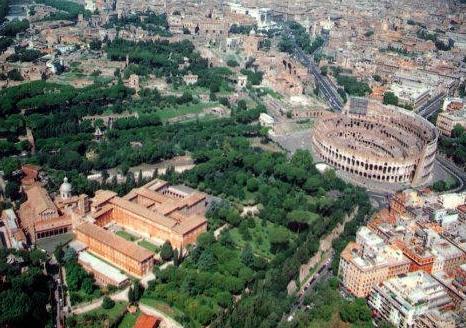 It serves as both glory and shame to the order today – as I have said before, it is a beautiful place, a genuine retreat, an Oasis in the City of Rome. It is also more than was ever needed, and has never been filled by the Passionists, and too easy a temptation to adapt models of monastic life never intended by the original charism of the Founder and the Congregation. 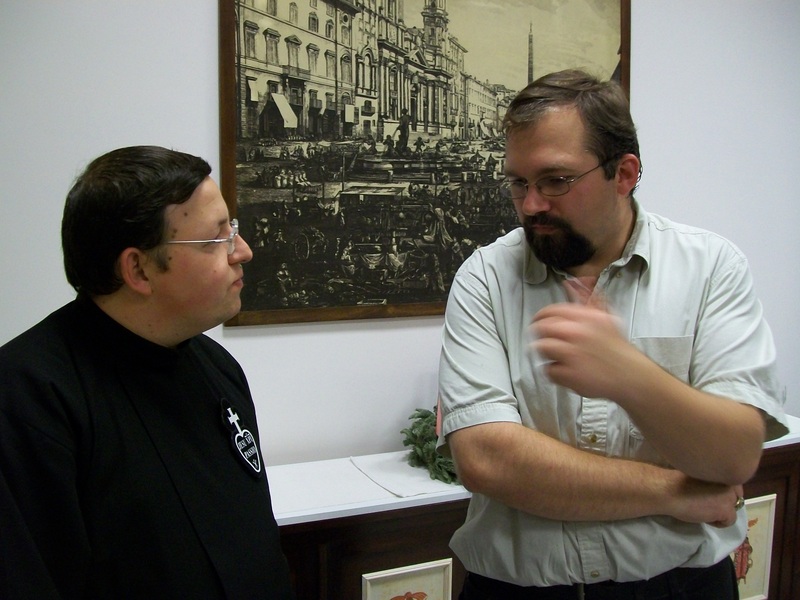 The Passionists are in the midst of a paradigmatic shift, the ongoing reception of the Second Vatican Council’s mandate to orders to rediscover their distinct and varied charisms. They are becoming less national and more globalized – though relatively small in numbers (about 2100) they are in almost 60 countries. Inviting the Lay Centre into the Retreat that houses the Generalate, we see a move to underline the founder’s original ideal of lay community and ministry, and the building up of spiritual ‘alliances’ with partners in the ministry of the Passion. 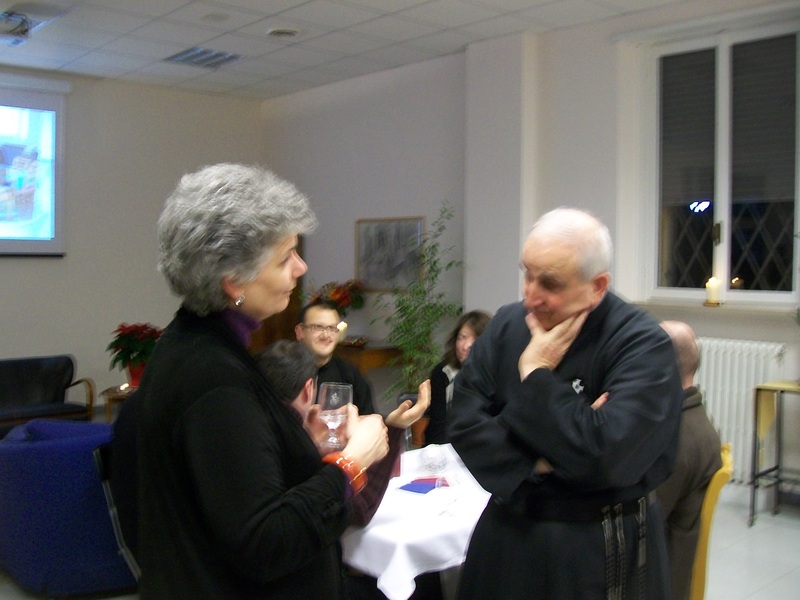 Friday, we met with the Father General of the Passionists and his General Council. Tonight we had the privilege to pray with the Passionist students and invite them over for Italian cioccolate caldo – something more akin to hot chocolate pudding than the kind of drinking hot chocolate I’m used to in the states. About twenty of their students, most Italians, joined about half the Lay Centre residents in the evening after to get to know one another. It was our first opportunity to put names to the faces we’ve seen here and in the universities. It was also a test of my very minimal Italian, as the brothers I spent most of the night speaking with had virtually no English! The Lay Centre at Foyer Unitas is no longer at Foyer Unitas in the Palazzo Doria Pamphilj on Piazza Navonna. I have mentioned before that the lay Centre moved just this summer to the Passionist Monastery of Sts. John and Paul on Monte Celio, just south of the coliseum, on the site of what once served as the Temple of Claudius, Nero’s Nymphaeum, and childhood playground for Pope Gregory I the Great. We met tonight with the men who made such a move possible, Father General Ottaviano D’Egidio and his general council – four Passionist priests who advise the Father General and represent different quarters of the world’s 2200 passionisiti: Fathers Denis Travers (Australia), Clemente Barrón (Texas), Luis Alberto Cano (Spain) and Luigi Vaninetti (Italy). It all started a little over two years ago with an email from Passionist Father and renowned Scripture scholar Donald Senior to members of the General Council suggesting such a move. From there, Fr. Denis met with Donna and conversation commenced. Two years later, we were able to welcome the Passionist general council to dinner as a small sign of thanks to our landlords, and to get to know the community a little better. 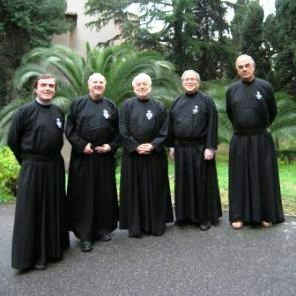 Passionists take the traditional three solemn vows of any monastic community – Poverty, Chastity, and Obedience – then add a fourth: to spend his energies in promoting remembrance of the sufferings of Jesus, to keep deep in our hearts the memory of the cross and to do what is in our power to remind others of it. This vow defines the purpose of the Passionist community, and the ubiquitous “Sign” of the order, designed by founder Paul of the Cross, reminds them at every moment of this vow. Likewise, the black habit, which is worn in mourning for the passion and death of Christ on the cross. 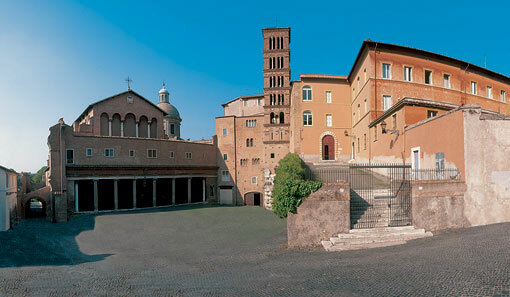 Though not the original house of the order, the monastery that the Lay Centre now calls home is the ‘mother house’, and several other groups are present: the Father General and his general curia, the students of the order studying at the Pontifical universities in Rome, the staff of the retreat house and of the Basilica of John and Paul, and sisters who serve as the cooks for the monks – about 80 people in all. The Father General’s opening remarks noted that at first, some of the order were unsure about admitting a lay community into the monastic grounds – and a coeducational, ecumenical, and interreligious community at that! But after a few weeks, he began to wonder if we had indeed moved in – barely seen or heard, we were like ghosts! I think that’s a compliment coming from someone whose day begins in the early hours before God Himself is stirring from slumber! For our part, I think we were just grateful for the opportunity to express gratitude at living in the most beautiful compound in the City, second only to the Vatican Gardens themselves. Student Pilgrimage to the Sanctuary of St. Gabriele, C.P. Before coming to Italy, I had never met a Passionist and really did not know much about the order. I think the only one I had even heard of was New Testament scholar Donald Senior, president of Catholic Theological Union in Chicago. In the nearly 300 year history of the order, however, they have clearly made an impact on Italy and other parts of the world. The monastery where the Lay Centre finds its home is certainly one of the largest in Rome. And one of the Passionist saints, the young St. Gabriele of Our Lady of Sorrows, is one of the most popular in Italy. 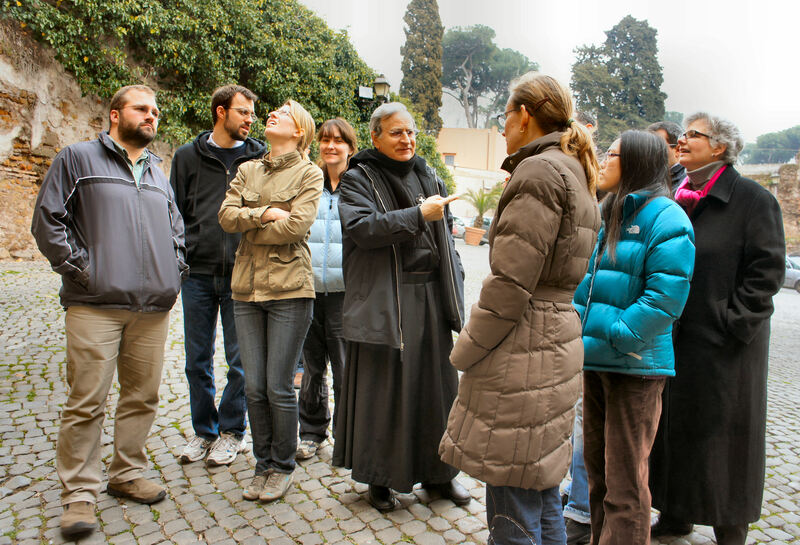 It was to the shrine and pilgrimage center of St. Gabriele that the students of Rome were invited on Saturday. This is the seventh annual pilgrimage of the students of Rome at the beginning of the academic year, and the first to go to the Santuario San Gabriele at Isola del Gran Sasso d’Italia, in the Abruzzo region – about two hours bus ride from Rome, and not far from L’Acquila, epicenter of the 5.8 tremor in April. Of the 308 deaths in the earthquake, 50 were university students, who were remembered at the liturgy and throughout the day at the retreat. This serious note was mixed with the World Youth Day style music and liturgy that seemed to mark the tradition for the weekend – it reminded me, in fact, of our Archdiocesan Youth Convention for high school students, which was celebrated the same weekend in Seattle. Except that there were a couple hundred priests (mostly graduate students) – so many, in fact, that the communion procession for the presbyterate took longer than for the rest of the assembly, which I do not think I have seen any other time.